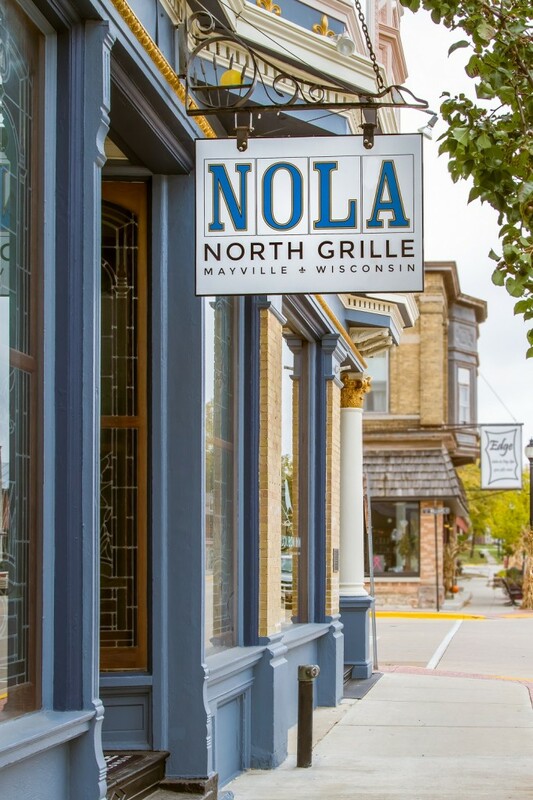 SMALL BITE: NOLA North Grille is a treasure-of-a-find at The Audubon Inn in Mayville, Wisconsin. 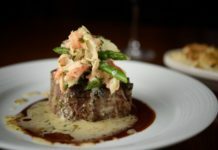 It’s an authentic New Orleans-inspired steak, chop and seafood restaurant that you would not expect to find in a small town like Mayville. 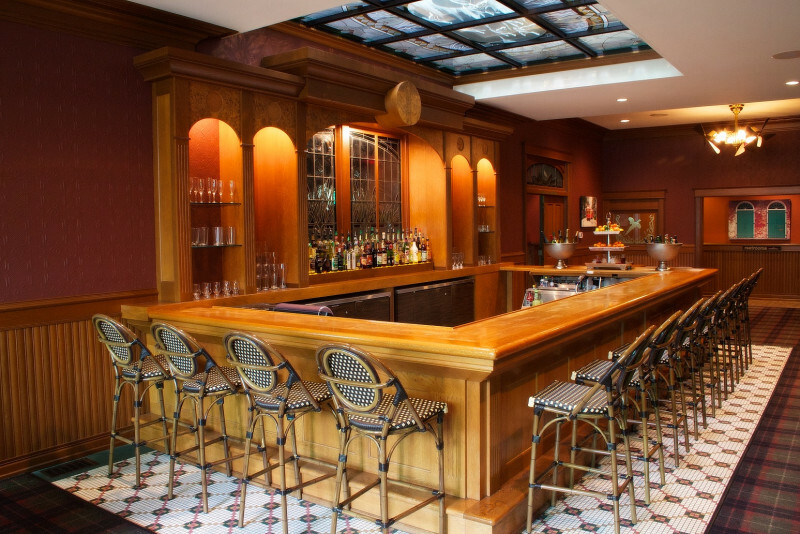 The owner, Keith Hill, goes out of his way to provide a highly upscale dining experience for all his guests. 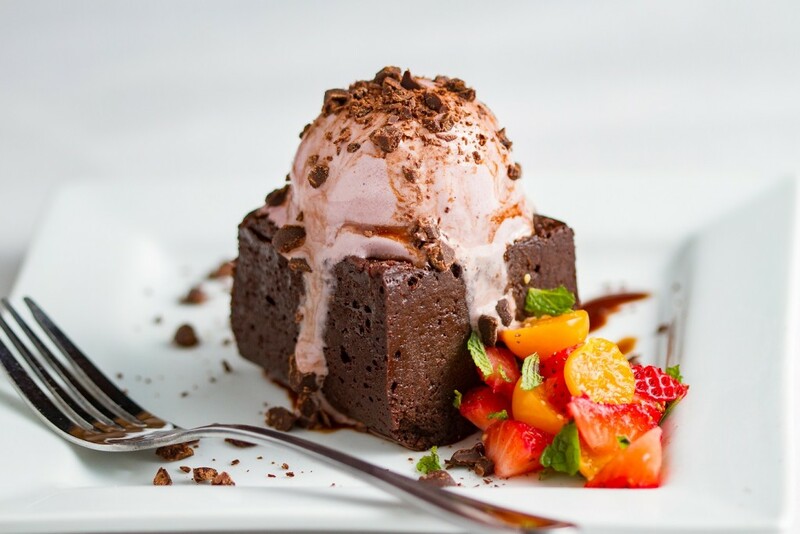 Most impressive is that Chef Ronnie Oldham makes just about everything in his kitchen: hand-cut and dry-aged steaks, cured ham and bacon, smoked meats, freshly ground burgers, sausages, ice cream and sorbets. 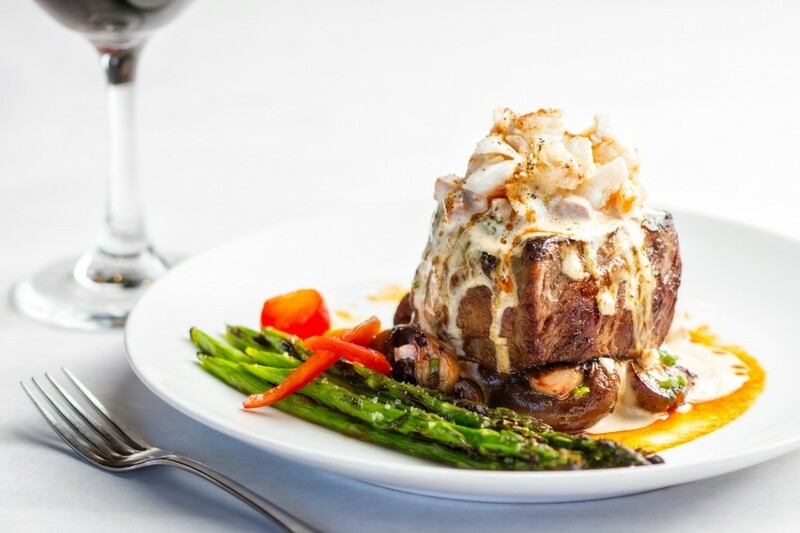 SIGNATURE DISH: This is a tough one, because so many dishes hit the mark. 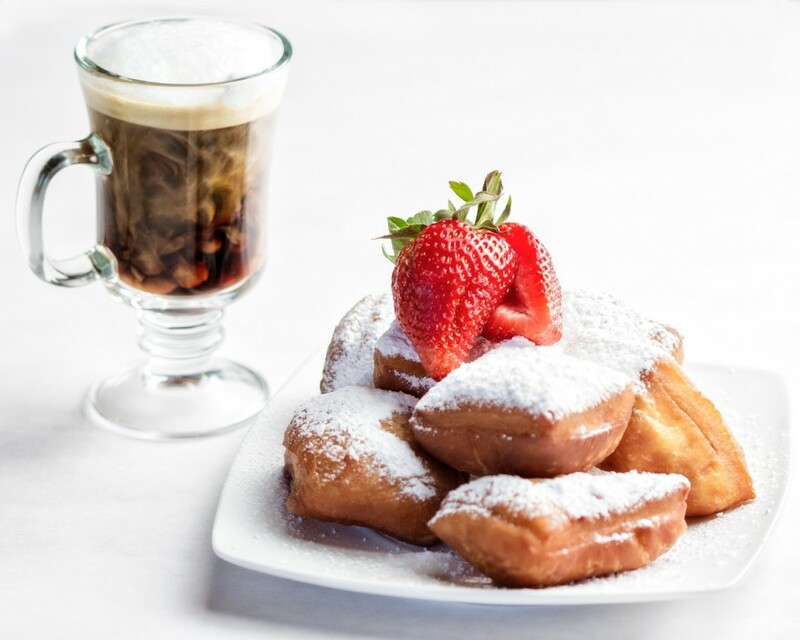 However, according to Chef Ronnie, who was trained as a pastry chef, NOLA is known for its beignets (pictured below), as well as its weekend brunch. 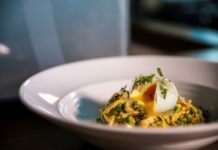 Chef Ronnie said his favorite savory dish to make is breakfast–Frittatas and Red-Wine Poached Eggs; his favorite dessert to make is a cookie called a Florentine. He also highly recommends the Brussels Sprouts. 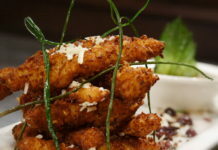 And the most requested dishes are Blackened Catfish and the Pork Shoulder. FOOD FOR THOUGHT: The owner, Keith Hill, like a mad scientist in the kitchen has created an amazing hot apple cider with a little of this and a little of that. 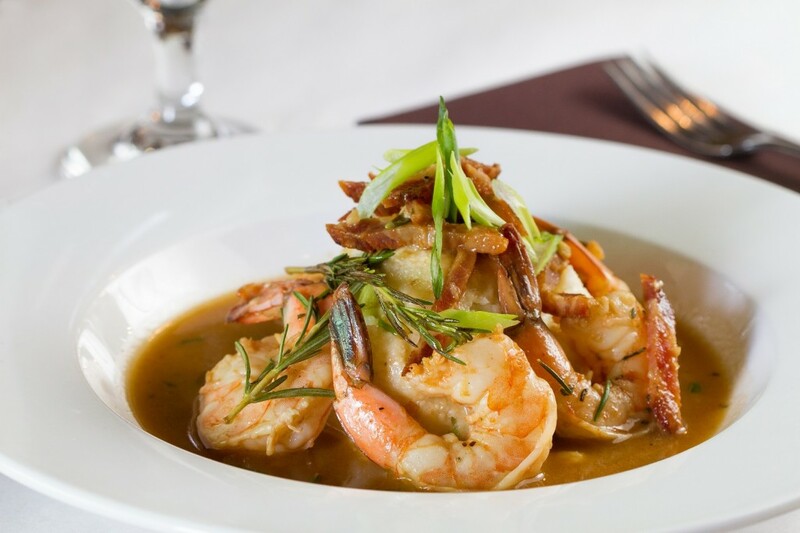 It may or may not be on the menu right now — but it should be! Smells like hot butter and tastes like liquid caramel. Be sure to ask for it! Why not order a cup of the delicious stuff and head to the theater in the basement to watch a classic flick. HOURS: Breakfast: Monday through Friday, 8:00 a.m. – 10:30 a.m.
Dinner: Sunday through Thursday, 5:00 p.m. – 9:00p.m. 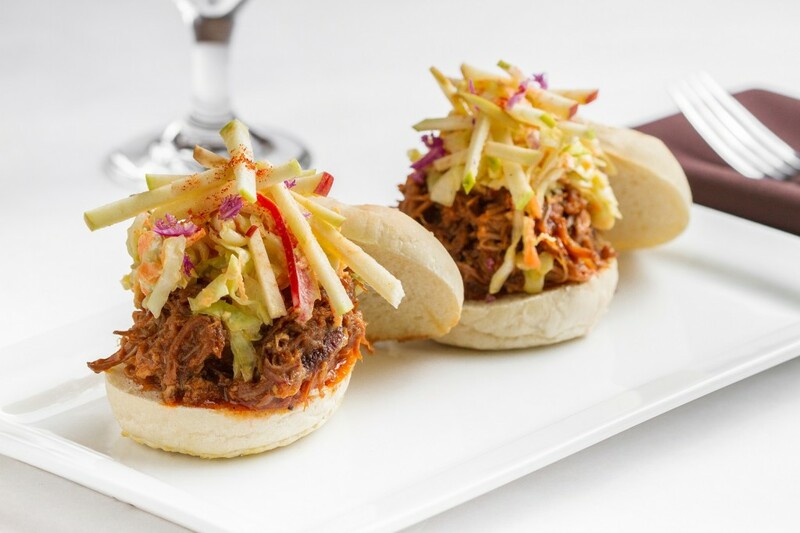 Friday and Saturday, 5:00 p.m. – 10:00 p.m.
Signature Brunch: Saturday and Sunday, 9:00 a.m. – 2:00 p.m. 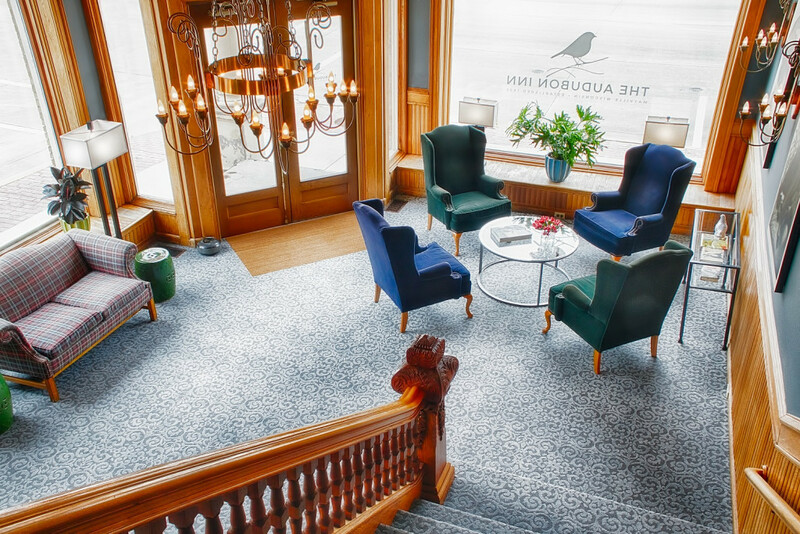 Happy Hour: Seven days a week, 5:00 p.m. – 6:00 p.m.
ABOUT THE AUDUBON INN: What’s not to love about a 120-year-old hotel? Keith Hill and his wife bought this historic hotel a year ago, and they have put their heart and soul and passion into making it the most comfortable, relaxing place to unwind and rest your head. “We’re here to take care of you, first and foremost,” Hill says. 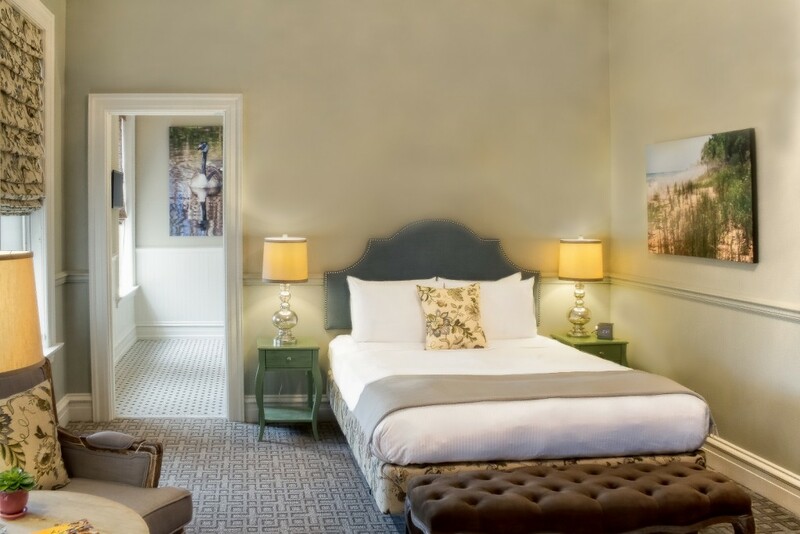 All 18 guest rooms have 10-foot ceilings, double-whirlpool Jacuzzi tubs with showers, memory-foam mattresses (SO comfortable! ), Casa Rovea Italian bath terry robes, Gilchrist & Soames bath amenities, hair dryers, coffee makers, DirecTV satellite TV and free wireless Internet service. 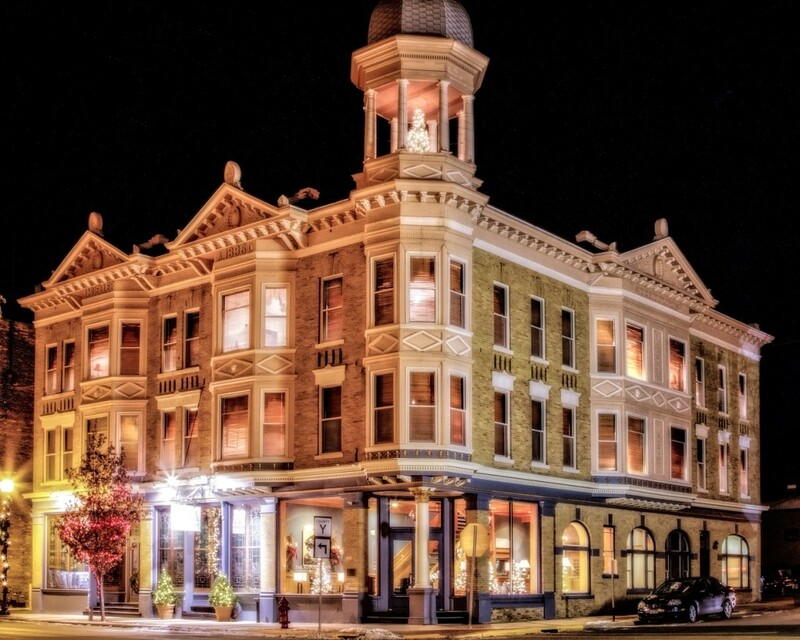 The Audubon Inn is an 18-room boutique hotel that is on the National Register of Historic Places. It is located in the heart of the charming, small town of Mayville, Wisconsin, just four miles from the Horicon Marsh–selected by CNN as Wisconsin’s most amazing natural wonder, with nearly 300 species of birds. “It’s the largest wetland of its kind in North America,” says Hill. 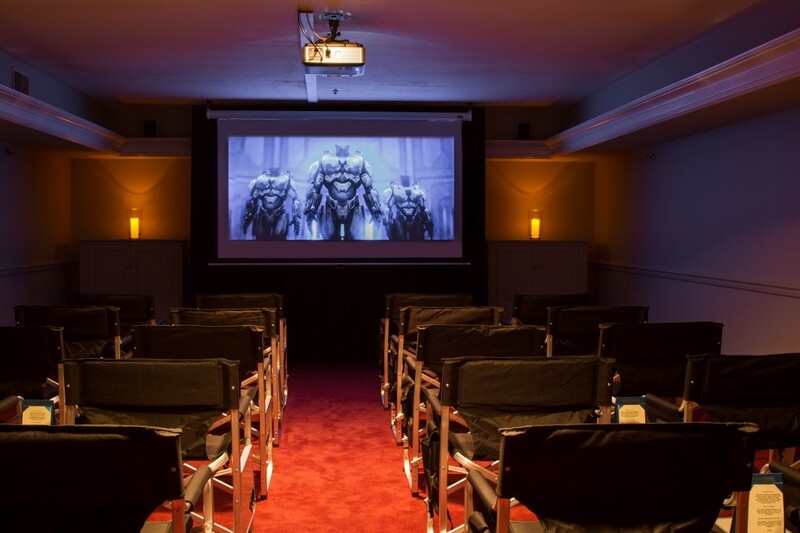 The newest addition to The Audubon Inn is Le Petite Theater, a 20-seat movie theater featuring a 110-inch, 16:9 aspect screen and Dolby Digital true-surround audio. You can order cocktails, wine, beer and munchies right from your seat via texting, and they will be delivered to you. 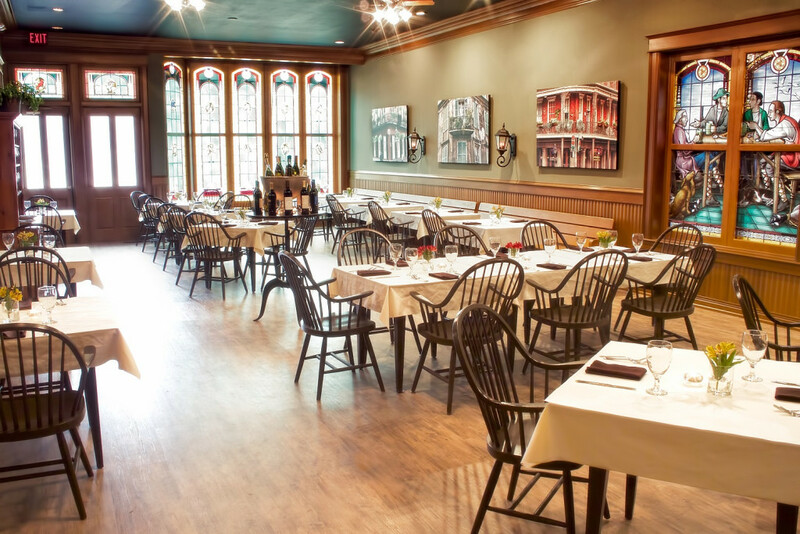 Guests pay a nightly Historic Preservation Fee of $3.19 to help preserve the building’s historic features.